PLUS – we also received Congratulatory certificates from Congressman Brad Sherman, Congresswoman Linda Sanchez, State Senator Ed Hernandez, State Assmeblymember Ed Chau, and Alhambra City Stephen Sham. In 1992, the U.S. President Bush officially signed Act HR5572 put forward by Representatives Frank Horton and Norman Mineta of the Congress and made May of each year as Asian Pacific American Heritage Month. It is to celebrate and praise the contribution made by Asian Pacific American to the United States, and promptly this act was passed both in the House of Representatives and the Senate by majority votes. 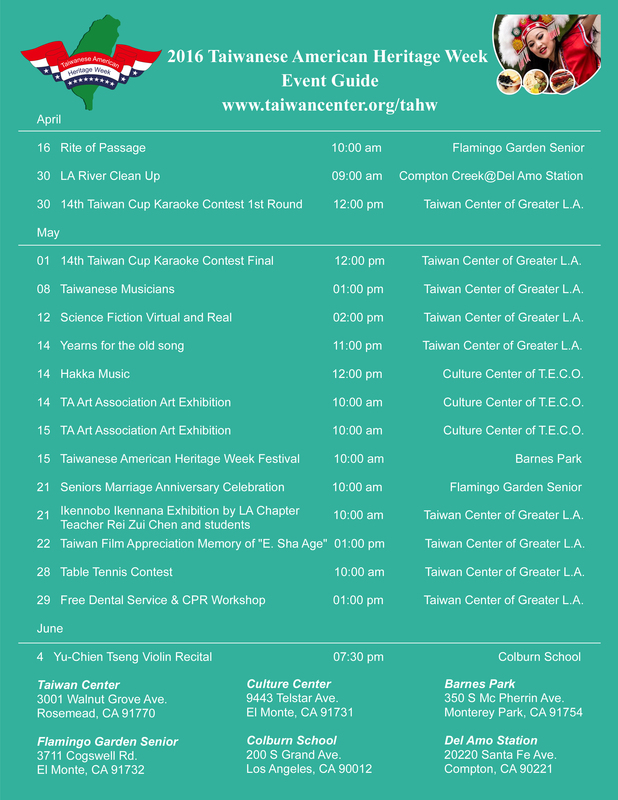 In 1999, to praise the contribution made by Taiwanese American to the U.S. society, the U.S. Congress specifically designated a week in Asian Pacific American Heritage Month in May as Taiwanese American Heritage Week. Both in May 1999 and in May 2000, the U.S. President Clinton sent letter to congratulate on Taiwanese American Heritage Week. Sine 2000, Taiwan President Chen Shui- Bian has been sending congratulatory letter to Taiwanese Americans. 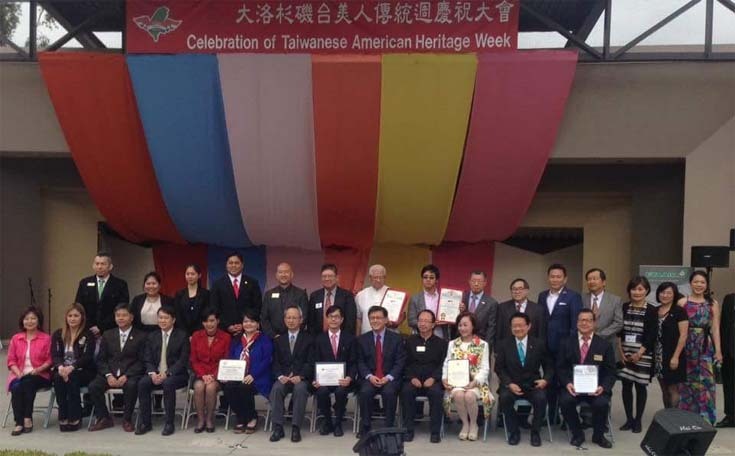 Taiwanese American Heritage Week is held mainly to praise the Taiwanese American on their contribution to the U.S. economy, culture and other fields, to introduce the Taiwanese American Heritage to the U.S. social mainstream, to help the mainstream friends to recognize Taiwan and Taiwanese. 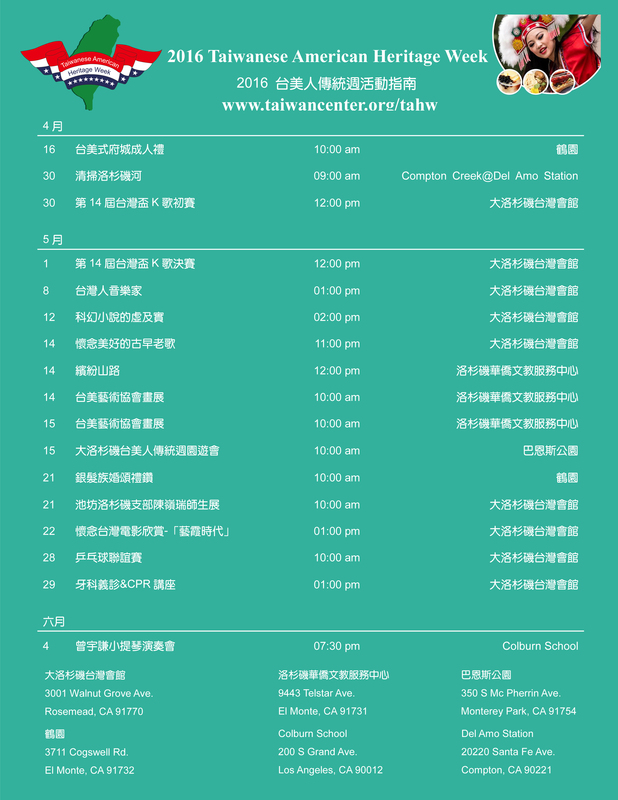 Furthermore, through the celebration of Taiwanese American Heritage Week, the communication and interaction between Taiwanese American and other ethnic groups will be promoted.